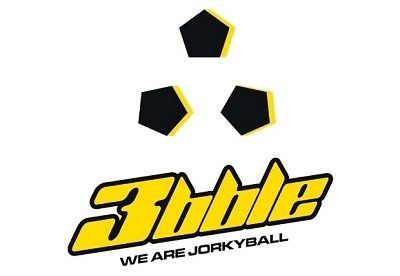 Leonardo Giangreco Biancheri, CEO of 3bble, explains : "We are very proud of being the Sponsor and Technical Supplier of the Jorkyball International Federation. This make a lot of sense as 3bble's only corporate goal is to provide the best courts and equipments to play Jorkyball. We are passionate about Jorkyball and Jorkyball is all we do! We believe that our partnership with the International Federation will help to promote and grow this beautiful sport around the world. We are also proud that our courts have been officially approved by the Jorkyball International Federation to host international competitions. We also expect to launch soon a line of technical apparel together with the Federation"